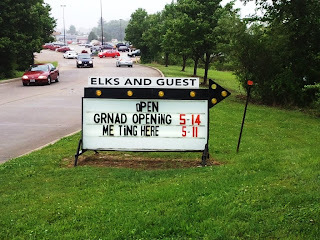 Today while I was out and about around town I noticed this sign leading into the Festus Elks. As many of you know that live in this area, the Elks burned to the ground a few months ago. Well it seems they are ready to go back in business. 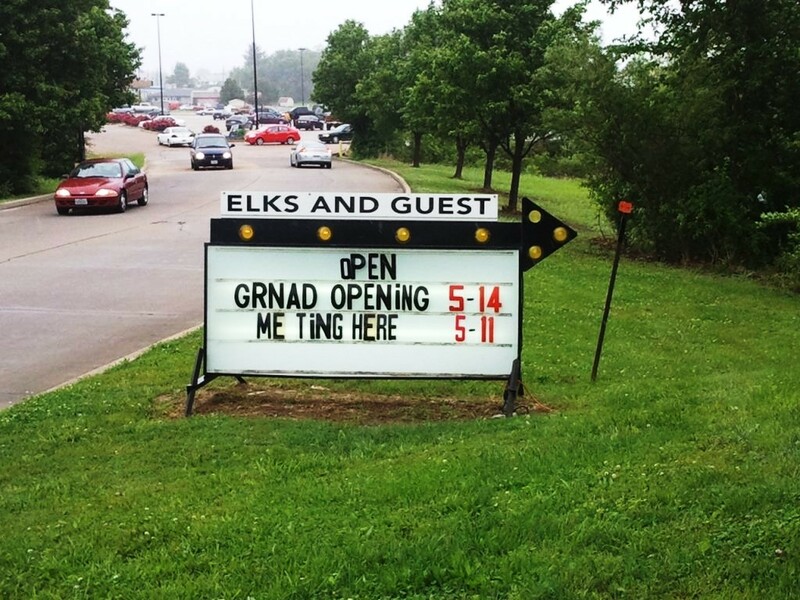 They are going to have a "Grnad" opening and starting to have "Metings" again. Hopefully they pick up a dictionary for their sign writer. This is the picture of the day.